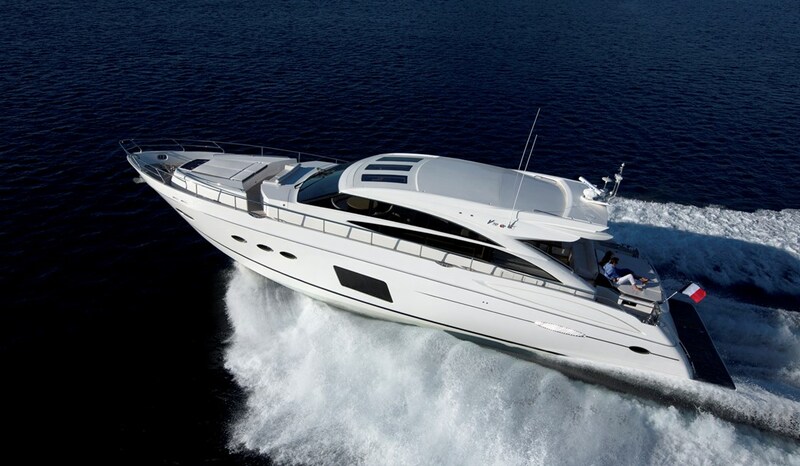 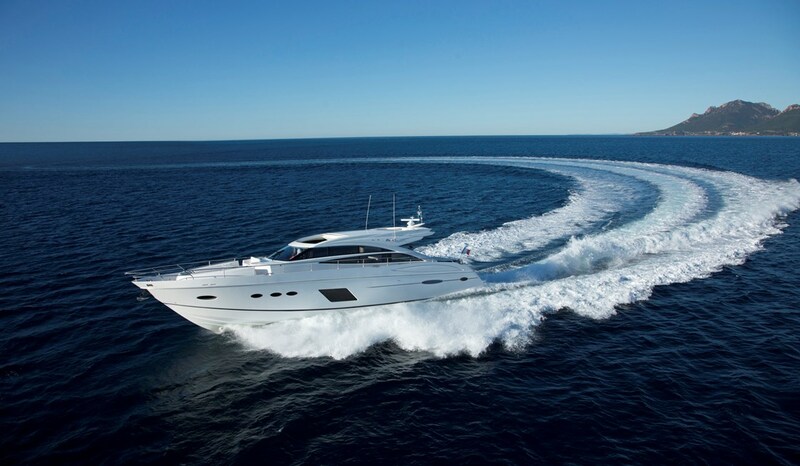 Characterised by her alluring proportions and agility, the V72 is a remarkable craft. 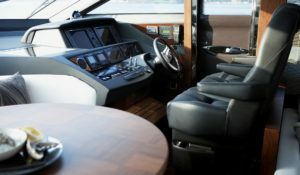 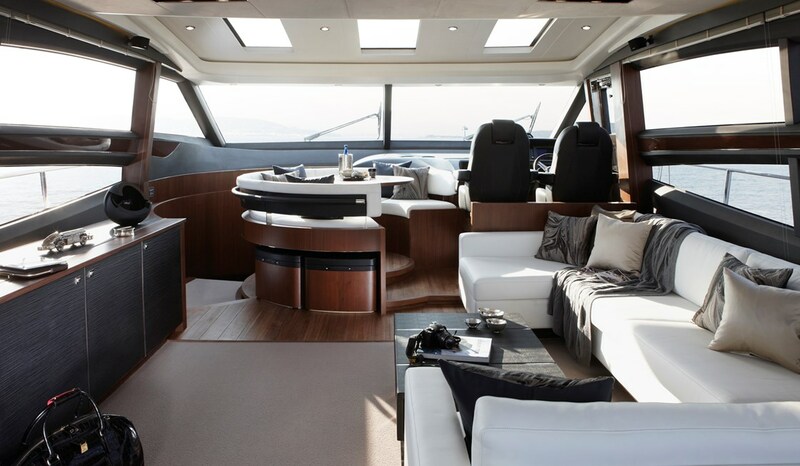 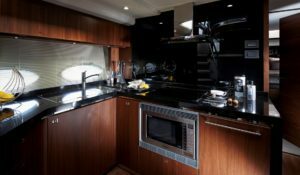 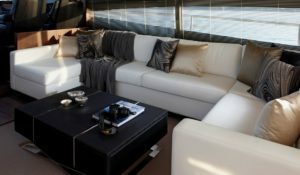 Her expansive cockpit enjoys sociable U-shaped seating, teak dining table and a substantial wetbar. 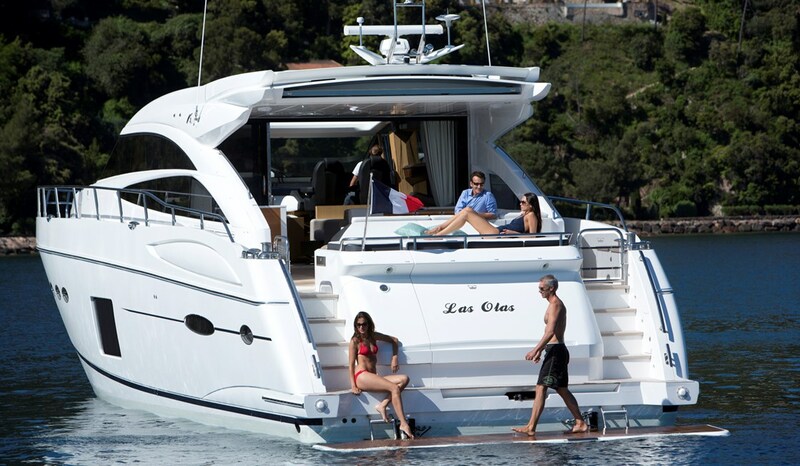 When the sea beckons, a submersible bathing platform makes launching a tender or jet ski a sheer delight. 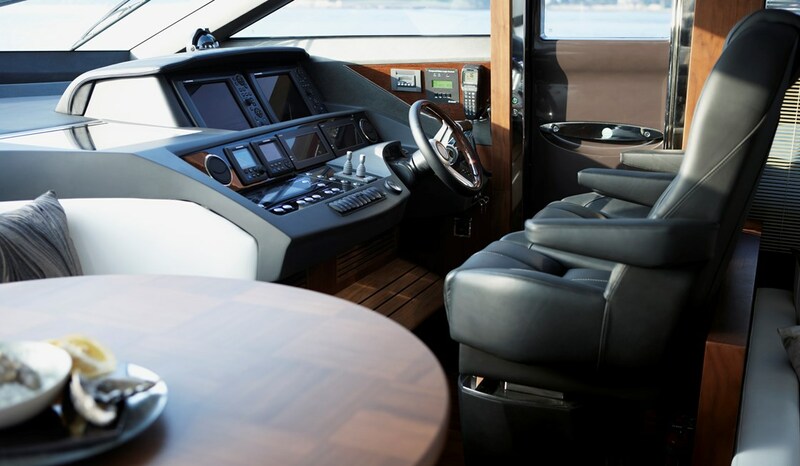 And when the time comes, you can open up the sunroof at the touch of a button, and then the engines too – all the way up to an exhilarating 39 knots. 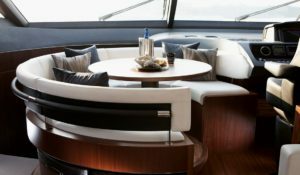 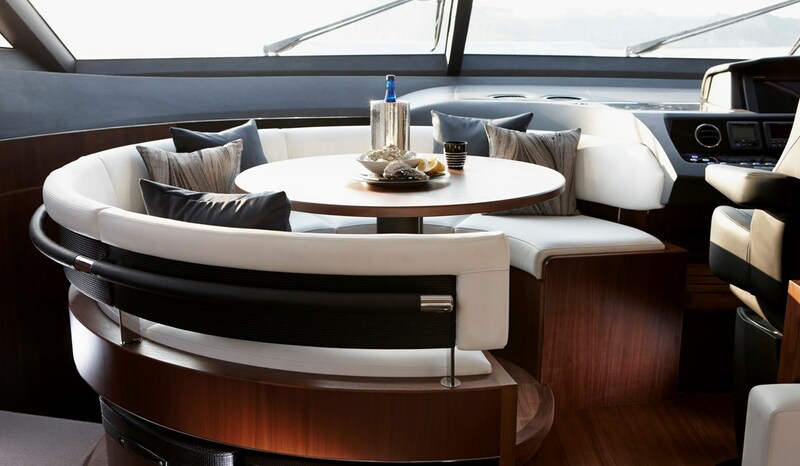 Surrounded by panoramic windows, the focal point of her beautiful main deck is an elegant circular dinette. 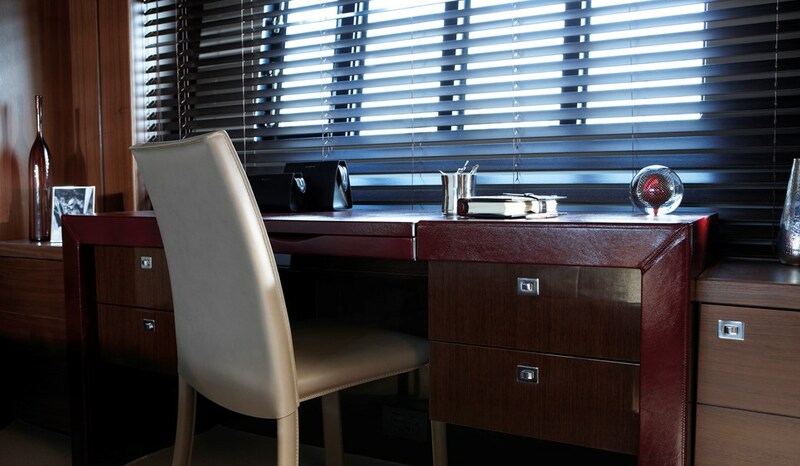 Resting beneath the sliding sunroof, it’s the perfect spot to enjoy breakfast before getting underway. 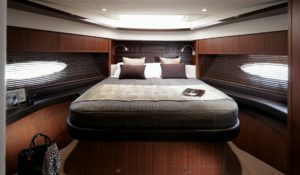 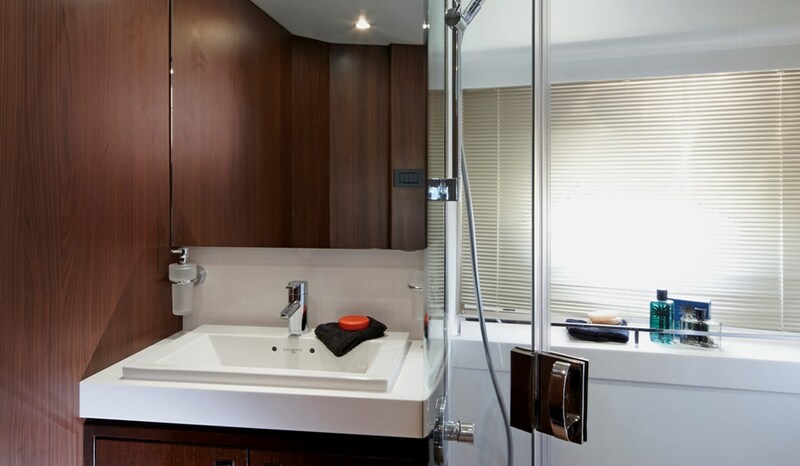 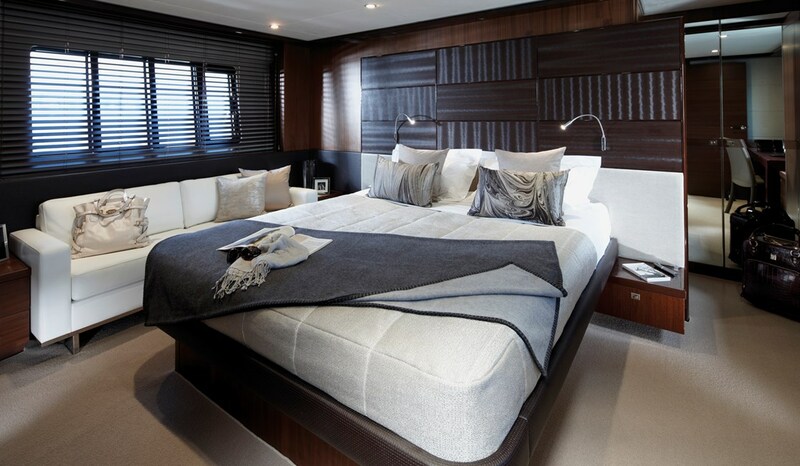 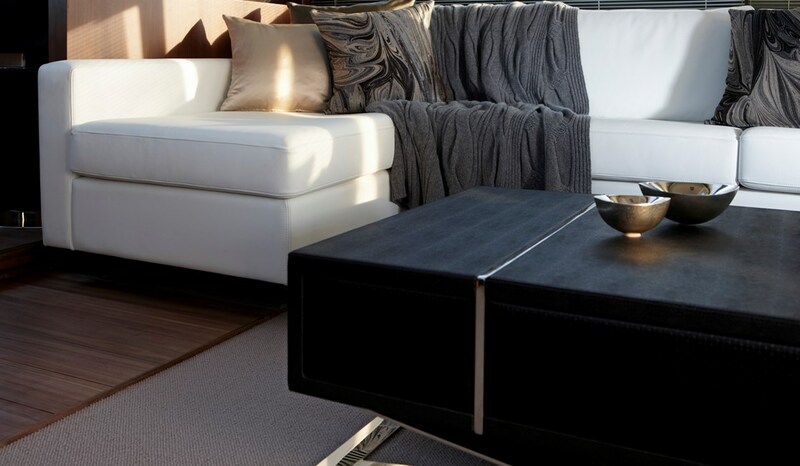 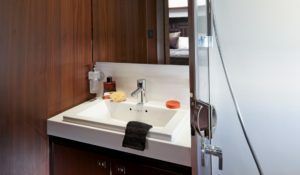 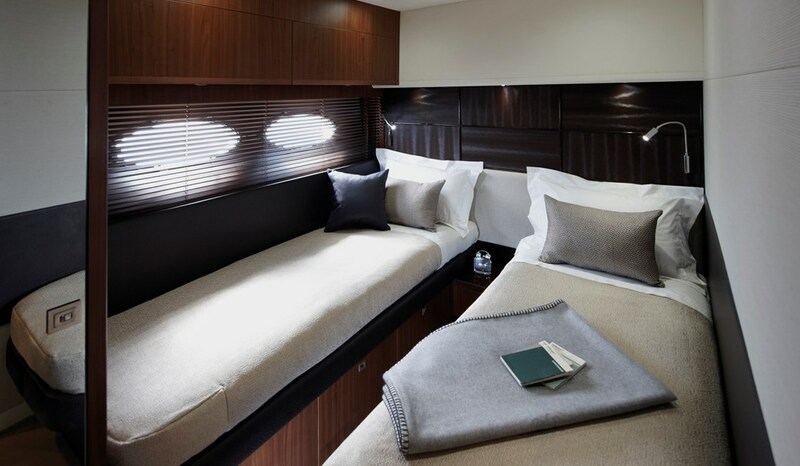 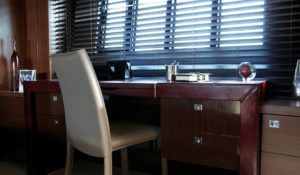 Below deck, three impeccably finished en suite cabins provide inviting accommodation.